Wanna bring dazzling allure to your peepers without looking over the top? Then say hello to the newest Lulu Guinness specs! Flaunting feminine silhouettes with understatedly glam accents, these versatile glasses are perfect for dressing up a casual outfit or complementing a fancier ensemble. 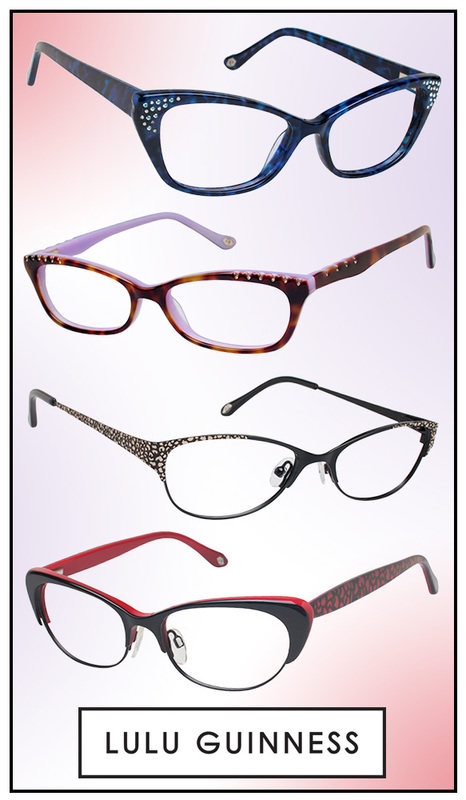 With ladylike rectangular and oval silhouettes with upswept temples, these frames are ever so flattering. Stylish babes are sure to dig their glitzy gemstone embellishments, colorful layered effects and abstract animal prints, not to mention their fabulous palette—think navy blue, classic tortoise and jet black hues, accentuated with pops of lavender, gold and bright red! Loving what you see? Get even more deets here.